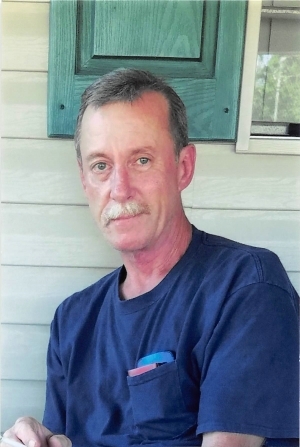 BRYAN DOUGLAS DERRICK, age 56 of Niota, Tenn. passed away Friday, November 30, 2018, at his residence. He was a native and lifelong resident of McMinn County, Tenn.,, a son of the late Clyde Curtis and Marcella Delores Barnett Derrick and preceded in death by two nieces: Ashley Nicole Derrick and Christy Michelle Derrick. He was an employee of Kimberly-Clark and was of the Baptist Faith. Survivors: Wife of 10 years: Teresa Mae Moses Derrick of Niota, Tenn., Two Step Daughters: Stephanie Tatum of Niota, Tenn. Ashley Peach of Gatlinburg, Tenn.,, Step-Son: Austin Arrowood of Cleveland, Tenn. Sister: Lisa and Greg Wilson Copperhill, Tenn., Two Brothers: Jeff Derrick of Niota, Tenn., and Heath and Jeanie Derrick of Englewood, Tenn., Mother-in-law: Cora Ruth Campbell of Riceville, Tenn., Brother-in-law and Three Sisters-in-law, Special Grandson: Ethan Tatum , Three step grandchildren, several nephews and a niece. Funeral services will be 8:00 P.M. Monday in the Chapel of Laycock-Hobbs Funeral Home with Rev. Mike Prock officiating. Interment will be 11:00 A.M. Tuesday in Hampton Cemetery. Active pallbearers will be Greg Wilson, Jeremy Wilson, Brian Moses, Josh Moses, Jeff Derrick, and Heath Derrick. The family will recieve friends from 6-8 Monday in the funeral home. Condolences may be sent to www.laycockhobbs.com/notices/Bryan-Derrick. Laycock-Hobbs Funeral Home, Athens, Tenn. in charge of arrangements.